Home » Church Goods » Banners » Crown of Thorns 13"
A fitting liturgical appointment or center-piece for seasonal parish events. Made from real thorns. This authentic Crown Of Thorns is used for Passion Plays or as a centerpiece for your Church, school or your Home during lent. 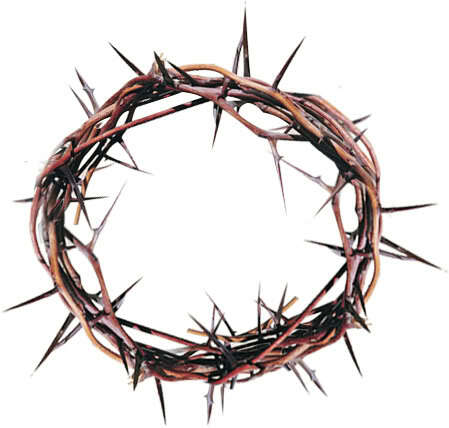 The crown of thorns is a symbolic reminder of the suffering Jesus endured to redeem his people. A constant reminder of the promises Christ made to Christians around the world. Measurement: 13 inch diameter.